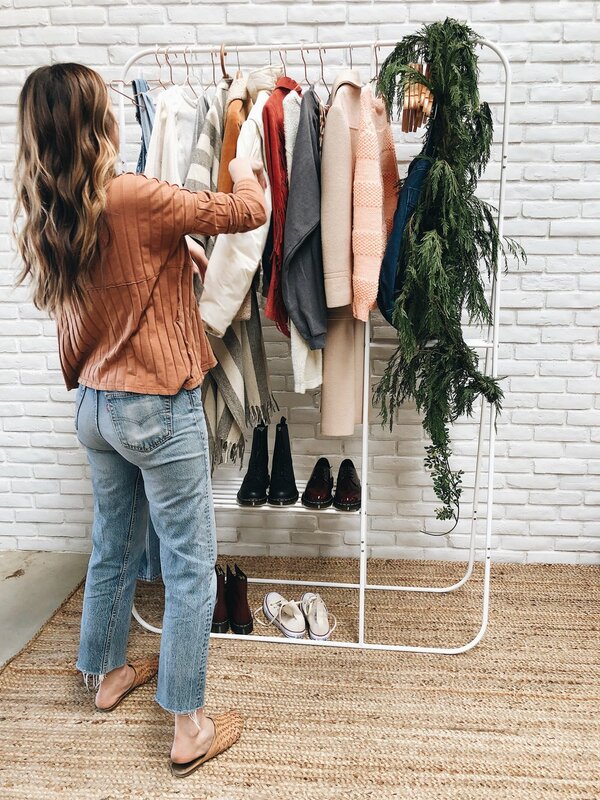 I caught up with mama, photographer and lady whose style I love, Paige Jones, to talk about how she prepped her house for a second babe and what home means to her. Peep some of her favorite Gunn & Swain finds below + shop them here. 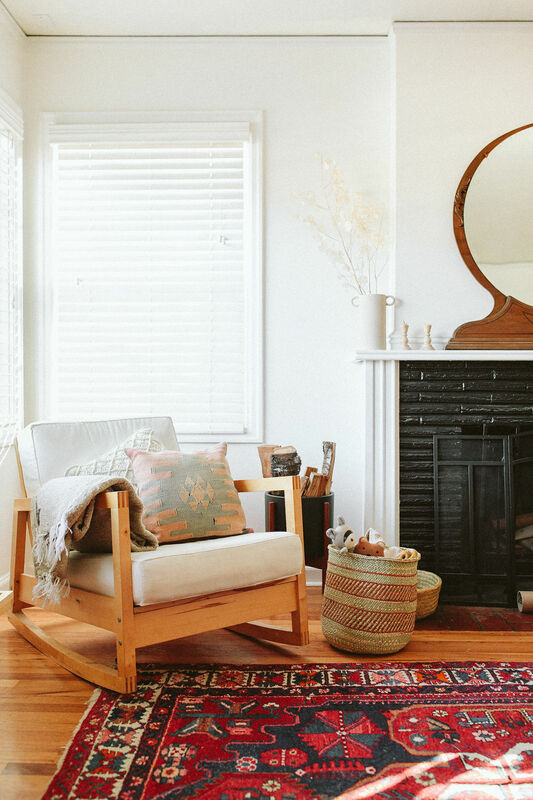 What is the coziest place at your home? Lou's nursery has always felt the coziest to me. Once upon a time it was Crosby's nursery as well... I try to stress to other parents-to-be that you need to make the nursery a serene place for yourself, not just the baby. The first year is so damn hard and you have to have a place to relax and feel at ease. Even if my entire home looks like a bomb went off, that nursery will always stay clean and clutter free. It's our little safe place to cozy up, nurse, and where Lou will learn to sleep... Once the kids get a bit older then I can go crazy with color and toys that spark their interest, but for now we're keeping it simple and enjoyable for mama. What’s something that defines home for you? We are a family of lovey-dovey, cuddly snugglers. Crosby asks to "snuggle mommy" at least 10 times a day, Our pup Otis is always close by, we smother Lou with kisses and cuddles all day long... Home for me is snuggling my boys, wether that's at a hotel during our travels or on our living room sofa... Best feeling in the entire world. What did you do to prep your house for a second babe? My love of baskets has always been a little out of hand. But adding a second babe in the mix meant we needed even more storage, baskets for diapers, baskets for teething toys, baskets for Crosby to learn he needs to put things away when he's done playing to keep our home safe for little Lou. Having all of "the things" go into a basket at the end of the day helps keep this mom sane. What’s something you’ve done to make your house more child-friendly? We aren't very big on child-proofing. We believe in teaching our kids what is and isn't off limits and think that putting locks and pads on everything hinders that process. Things we do to make our home more child - friendly would be filling it with things for them to play with and use their imaginations. A toy kitchen here and building blocks there... We recently built Crosby a desk where he loves to draw and tell very ellaborate stories with all of his construction vehicles. Every room in our home is filled with childrens books and that might be one of my most favorite things. What’s your interior design philosophy? Wow this is a tough question! I have a deep love for interior design and I think it stems from my love of photography. Both require creating beautiful and unique compositions. My idea of a good time is a glass of wine and re-styling a shelf ;) ... Being a creative person means I have a desire and need to be inspired daily, so creating a home that is peaceful and inspiring is very important... My style has changed a lot over the years but these days I'm trying to simplify things, having less "things" is definitely more appealing to me.